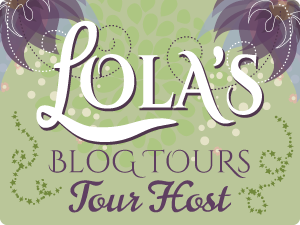 Today is my stop during the blog tour for The Bad Boy Bargain by Kendra C. Highley. Scroll down to read my review for this book! View the whole tour schedule here. This sweet, adorable romance ticked all the boxes for me. It was a quick, entertaining read that left me with so many good feels. I’ll definitely be checking out more of this author’s work in future. Faith has been trying to work up the courage to finish with her bf of six months, Cameron, but she’s a nice girl and she doesn’t want to hurt his feelings. When the cat is out of the bag, Cameron shows no such concern for her when he runs off with another girl straightaway and then starts spreading malicious rumors about her around school. Faith needs to put a stop to it and the solution magically appears in her backyard. Kyle has lived behind his manufactured rep for years and the strain of keeping up a facade is really getting to him. When Faith enters his world, for the very first time he’s forced to confront the reality of his situation and he doesn’t like the corner he’s boxed himself into. As he grows closer to Faith, he begins to question everything about himself and the path he has chosen. Faith starts to fall for the sweet boy who is nothing like she expected. She quickly realizes something is amiss but it takes a bit of toing and froing before Kyle can summon up the courage to tell her who he really is. Gosh, I just loved this story in its entirety! Not only is it an entertaining well-written story with great characters and the appropriate amount of emotional depth but it is packed full of so many positive messages for teens. I loved how the author explored teen identity vs societal perception and how powerful the message was about being true to yourself. I also really adored Kyle’s personality and how thoughtful he was when it came to winning Faith’s heart. He was so respectful of her and he took the time to get to know her and find out the things she liked and took a real genuine interest in same. Not because he wanted to get her into bed but because he truly liked her and wanted to understand and support her. It was a different take on the hot bad-boy type and I really found that refreshing. The writing is great and the pacing is perfect. I genuinely can’t find any fault with this book. I loved it so much I’m planning on purchasing a paperback copy for my 16-year-old son because I think it will be a great read for him. Thanks to Entangled Teen for providing an advanced copy of this book in exchange for my honest review.